"Admirals and Generals of the USSR Navy in the Period of the Great Patriotic War and the Soviet-Japanese War (1941- 1945)", Vyacheslav Lur'e. "Admirals and Generals of the USSR Navy in the Period of the Great Patriotic War and the Soviet-Japanese War (1941- 1945)", Vyacheslav Lur'e. C. 2001, St. Petersburg. Russian text. Hard covered, 280 pp. 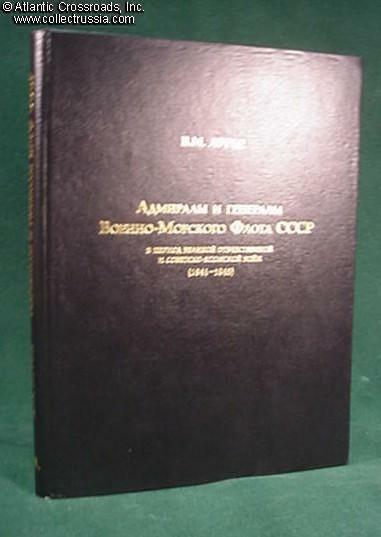 Includes ALL in the Soviet navy who received the rank of admiral or general by the end of WW2. 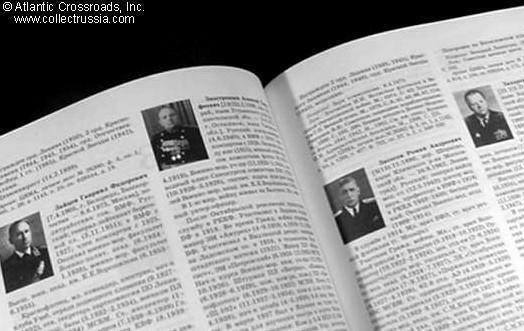 Covers generals in naval air forces, naval NKVD departments, coastal defense etc. Similar in format to "Heroes of the Soviet Union" catalog, but with more detailed biographical and combat service information. Most of the articles are accompanied by a photo. With just 1000 copies printed, this book has already become a rarity in Russia and abroad. Outstanding reference chockfull of precise and previously unavailable information.